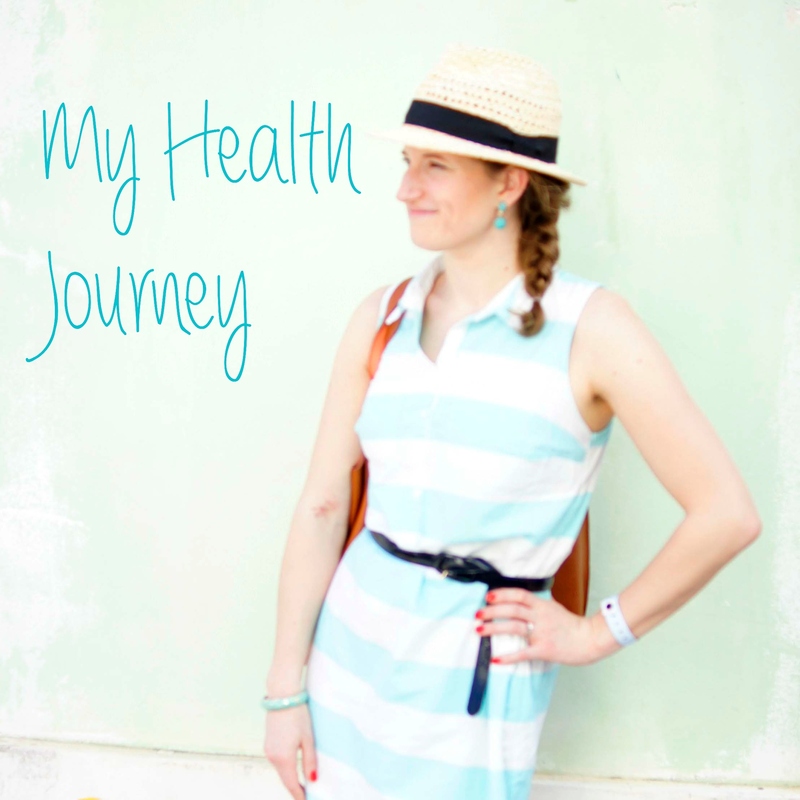 In my last post, I started to share how things started looking up for me, health-wise. I started visiting a chiropractor and doing health coaching. There were many factors in what was going wrong with my health; likewise, there were many components that helped me get well. Here are a few other approaches that I would recommend, if you are in a similar situation. When my physician first recommended that I go off of gluten (August 2012), I paused, my ponderings having suddenly become much more relevant, and asked the doc if he knew why so many more people now have gluten intolerance. He didn’t exactly answer my question, but he referred me to a book which might answer some of my questions. Eat to Live, by Dr. Joel Furhman, outlines why and how you should follow a nutritarian diet. What’s a nutritarian, you ask? Someone who eats a diet based not on a type of food (e.g. vegetarian), or a type of nutrient (e.g. Atkins), but on the amount of and variety of nutrients in their food and diet. This diet is plant-based, and in summary recommends that your calories (not amount of food on your plate) should be made up mostly of veggies (especially greens!). In general, your daily regimen should contain about 50% veggies (half raw, half cooked, mostly green), one cup of beans, an ounce or two of raw nuts, a small amount of whole grains, and hardly any animal products (less than ten percent of your total caloric intake). Not only does eating this way help you lose weight and get to your body’s natural stable weight (which in most cases is lower than you might think), it prevents and can even reverse a myriad of diseases and conditions, including cancer, heart disease, and diabetes. Dr. Furhman’s theories are based on his experience as a doctor as well as thousands of research articles. After reading the science, I was immediately convinced and starting changing my diet. Unfortunately, at first it was hard to balance going gluten-free with my new knowledge that I need to eat way more veggies and far less animal products. I am certain the reason my body decided to say no to gluten is because I filled it to the max with gluten over the past half-decade or more of my life. Pasta, pizza, burgers, cookies, desserts, you name it – that’s what I had been eating. Faced with the fear of all of that adding up to some form of disease one day put me on a high-speed nutritional diet. I lost a lot of weight (20 pounds over the course of six months), but I wasn’t getting enough calories, because I was eating mostly rice, with some veggies, nuts, beans, and a small amount of meat. When I realized I was still lightheaded most of the day due to a lack of calories and having not completely eliminated gluten, I decided to not worry so much about strictly following Dr. Furhman’s recommendations, and just make sure I ate enough, period. I finally cut out of my diet processed foods that “may contain gluten” as well as looked up every restaurant I typically visit to see which foods I can have and which foods I should avoid. I achieved a normal weight, which was still on the lower end of “average” according to the BMI chart, and is normal according to Eat to Live. For a year and a half I ate much more healthy than I ever have before in my life, avoiding all gluten products (wheat, pasta, breads, cookies, and other things you would suspect contain gluten), and incorporating all kinds of veggies (such as bell peppers, broccoli, sweet potatoes, tomatoes, and onions). I actually had kind of a relapse, if you will, of symptoms, and last fall invested in a 200 panel test for food sensitivities. I’ll save that story for another day, but suffice it to say that I am eating a little differently now, but want to make an effort to go back to Dr. Furhman’s recommendations, as my digestion, skin, and weight were the best they’ve been in my life since I was a child! Because I was having frequent-to-chronic headaches and lightheadedness, my typical exercise of choice – running (aka jogging) – wasn’t cutting it. After getting off the treadmill, my head felt terrible, and I would usually come home and crash, often in tears at the discomfort. For a short time I switched to biking, but kind of decided that wasn’t my thing (am I even working out??!). Finally, I found yoga! January 2013 began with Do You Yoga’s 30-Day Challenge with Erin Motz. I immediately fell in love with this cute girl who was around my age, who exuded the calmness and chill-factor that I had always hoped would characterize myself. Each day’s challenge was short and doable, 8-20 minutes long, with gentle, informative instruction – perfect for a beginner like me! I wasn’t super consistent, and I don’t know if I’ve ever made it through the entire challenge to this day – yikes! – but it started my yoga practice, which I later realized was a huge part of my healing process. I mentioned in my previous post that I learned to do breathing exercises through health coaching. Well, if you have never done yoga before (or just didn’t realize it), the main theme underlying yoga is breath. No matter what pose you’re doing, your main objective (besides lengthening your spine and not pushing yourself past what feels good) is to breathe. Without breathing deeply, not enough oxygen gets to the muscles you’re trying to stretch, rendering your exercise ineffective. Because of focusing on my breath in my yoga practice, I began to notice when I was holding my breath throughout the rest of my day, like when sitting at my computer, at work, or while driving. When you hold your breath, you’re holding tension in your muscles. Different muscles may be affected depending on the person or the situation, but any way you look at it, holding your breath breeds stress. Learning to recognize when I am holding my breath and being able to relax and take a deep breath has helped me reduce stress and tension, not just in my muscles, but for my physical and mental self. I still practice yoga, and highly recommend it as a gentle form of exercise, which not only helps you strengthen and stretch your muscles, but leads to more calmness and lower stress overall! The New Year having been rung in, with my new yoga practice and health coaching sessions, I came up with a mantra. I never believed in mantras, and didn’t even realize it was one, but I started 2013 with the resolution to “stop the glorification of busy.” I had seen that phrase on Pinterest once or twice, and it really resonated with me. Yes, I realized, that is exactly what I need to do! I knew I needed to pare down my life if I was ever going to get my anxiety under control. To allow space in my life, I had to cut back on a lot. Being a perfectionist means that I prefer to spend my free time doing activities that feel productive to me – some people might call them hobbies. 😉 Instead of vegging out on the couch binge-watching netflix (no judgment if that’s your style!) I like to blog, read, make photo books, edit photos, cook, achieve success in a game, learn language, play an instrument, sew, do craft projects, clean, the list goes on. I also love to be involved in more extroverted functions like visiting with friends, shopping, being in a Bible study, leading at church, taking part in community events, etc. It was REALLY hard for me to cut so many things out of my routine, but it was necessary!! Instead of making a long list of “productive” fun activities for the night, and feeling upset and guilty when I wasn’t able to accomplish them because I felt too uncomfortable to do anything but sit on the couch or take a nap or call my mom to talk through a new weird health symptom, I had to force myself to not put anything on my list. If I read blogs, great! If I didn’t get to them, fine. If I cooked dinner, magnificent! Go sit on the couch for the rest of the night. I took a lot of baths, because that is one of the most relaxing things to me. I tried to scale back at work by eliminating some of the million teams I was part of. I can’t publish this post without mentioning one of the greatest lifesavers of all – Arbonne Fizz Sticks! If you’ve ever been around me in the afternoon in the past two years, I’m sure you’ve wondered what that strange powdery concoction is that I’m mixing in my water bottle! Fizz sticks, or “fizzies” as me and my mom call them, are THE best energy and health drink out there, I’m convinced. The first time I ever used them (back when they came in the form of tablets), I was driving back to college after a wedding in Kentucky with two of my friends. We were supposed to all take shifts driving and sleeping, but the fizzie kept me alert and awake until we got home at 4am! With less than one gram of sugar, green tea, and a wealth of vitamins and nutrients, fizzies are packed with everything you need to stay awake past the 3:00 slump. If I don’t have a fizzie, I will fall asleep on the couch for two hours. But they aren’t fueled entirely with caffeine, rather a blend of vitamin B and chromium, guarana, and ginseng. They contain 50mg of caffeine, which is about equivalent to a cup of green tea. Dr. Deanna Osborne, one of the speakers who works for Arbonne, is a medical doctor with experience with Arbonne products, and is knowledgeable about hormones. At one conference, my mom approached her with my medical concerns, specifically the lightheadedness and trouble I was having with my menstrual cycle (let’s just call it “cycle” from now on, k?). This lady recommended I continue on the Progesterone cream I was using, and aside from that, she said the best thing I could do was to add fizzies to my diet. I hadn’t been using them daily up until that point, but after that I was sold! They are about $1.25 per stick, which is kind of a lot, but it is so worth it to me. After drinking a fizzie per day and using Arbonne’s Progesterone cream for several months, I was able to balance out my hormones – praise God!! I had a lot of trouble with my cortisol levels, which were giving me anxiety, and the fizzies were a crucial part in regaining balance over my cortisol levels. Can you believe it?! A delicious drink that gave me energy would also play a role in balancing my hormones!! With fizzies, I was finally able to get up off the couch and do my dishes and even cook a meal. YAAAAAY!! One of the other Arbonne products I use is the protein powder. It’s not made from soy OR whey, which can interfere with digestion as well as hormones. The protein comes from pea powder (it’s vegan! ), and the subtle vanilla flavor is perfect for blending into a smoothie, which is another great way to pack fruits and veggies into your diet. Arbonne’s protein powder not only gives you 10 grams of protein per scoop (I normally use one scoop at a time to make the bag last longer – there are sixty scoops in one bag), it also has (surprise!) tons of vitamins and minerals. It is a crucial ingredient in a diet for anyone who has stomach issues – it helps heal your gut! I found that adding a protein shake to my daily meal plan helped me get over the symptoms from my gluten intolerance much more quickly than before I started using it. The other two things I wanted to write about – medicine (the birth control pill, progesterone cream, and anti-depressants), as well as mental health (counseling) are more medical and less related to basic holistic routines that you can add to your life. Thus, I’ve decided to write about them another time, so that I can give them the attention they deserve. I’m not sure when I’ll share that post, but for now I’ll just say that going off the birth control pill was a necessity in re-gaining my health, Arbonne bio-identical hormones were a lifesaver, and I would recommend counseling to anyone and everyone. Phew, that was a long post! Thanks to those of you who stuck in there with me! Please feel free to leave a comment or message me on Facebook if you have any questions or want to know more! !